Are you looking to get healthier or simply start a new exercise routine? Cardio exercise classes might be the right fit for you. Cardio is often referenced in the fitness arena because it is highly recommended with any fitness routine. It is recommended that individuals incorporate a least 150 minutes of cardio per week. In other words, 30 minutes 5 days a week. There are so many amazing, benefits to including cardio classes into your fitness plan. 3 motivating reasons include the health benefits; cardio is more than just running; and cardio is a great group exercise routine. Keep reading to learn more. Reason #1. There are so many health benefits to cardio exercise. It will get your blood flowing by raising your heart rate and if you know your target heart zone you will burn fat and calories, which can lead to weight loss. *All fitness routines should include a nutritional diet, for weight loss. When individuals participate regularly in cardio exercise in Phoenix, AZ, they strengthen their heart and increase lung capacity. Cardio can help reduce stress and anxiety, which leads to better mental health. Individuals who pair cardio with strength exercises find that they improve their overall strength, flexibility, endurance, and mood. So, if you’re looking for a complete health and wellness plan, cardio is an excellent addition to your routine. Reason #2. You may have the impression that cardio means running on a treadmill, outside or around a track, but that couldn’t be further from the truth. There are so many ways to get into a cardio routine that do not include jogging, such as fitness exercise classes. Mountainside Fitness has over 80 classes per week and all are included with a membership. Classes with cardio that do not include jogging are Power Yoga, Studio Cycle and Zumba to name a few. Check out our class descriptions here and call today for more information. Reason #3. Cardio is something that you can done with a friend, group of friends, or better yet with the entire family. Mountainside Fitness offers group classes that incorporate family members. Family exercise classes in Phoenix, AZ, give you an opportunity to initiate a workout without feeling guilty about neglecting your family. If nothing else a family routine demonstrates how to live a healthier lifestyle to your children. 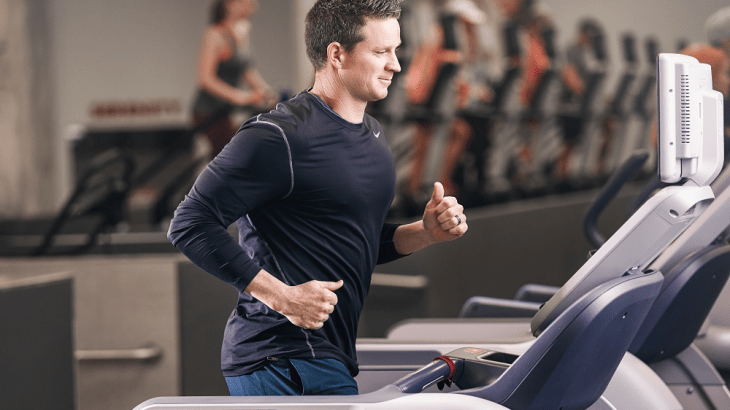 Are you uncertain what type of cardio is ideal for your fitness level or fitness goals? Check with your local fitness center to learn more about the exercise classes offered. 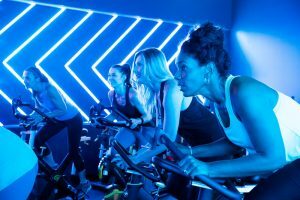 Keep in mind that cardio classes differentiate between high-impact and low-impact. If you have any physical limitations or if you are a beginner, you might consider the low-impact classes. With so much variety at Mountainside Fitness, you’re sure to find a cardio fitness class that meets your needs. If you are ready to incorporate cardio into your fitness routine, check out the cardio exercise classes in Phoenix, AZ. Contact any one of Mountainside Fitness’ 17 locations in Phoenix Valley to learn more!